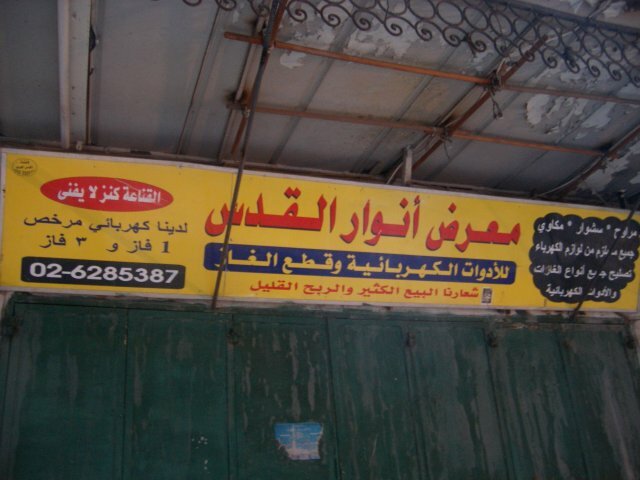 The guesthouse is in Palestinian neighbourhood where Arabic is commonly spoken. And it is obviously noticeable for the signs too. 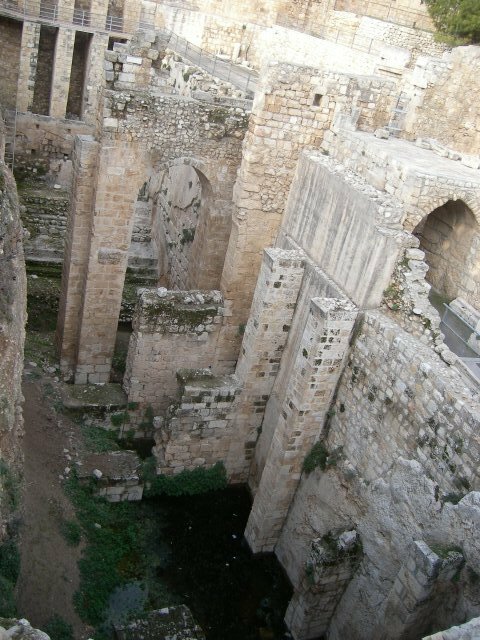 From the guest house, we walked to the Jerusalem Old City through Damascus Gate. 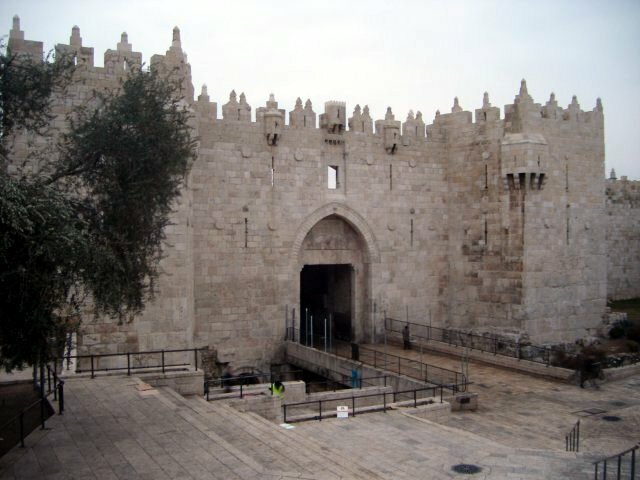 This gate is called in Arabic as Bab Al-Amud which means Pillar Gate. There used to be two pillars by Hadrian and people still used that name even though the pillar is not there for more than thousand years. 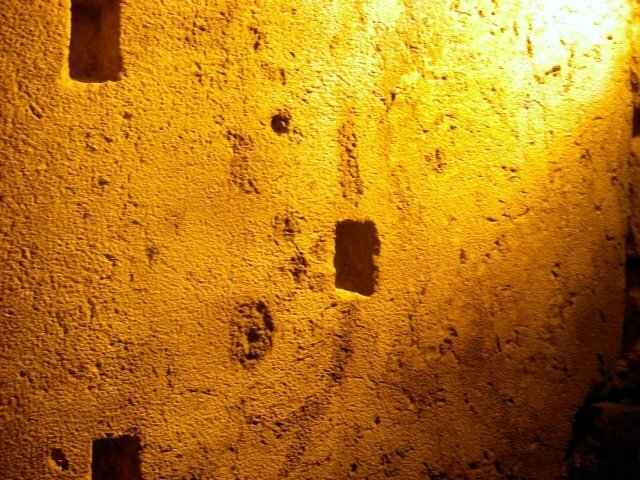 But you can see the mark where the pillars were in the Old City right after the gate. We walked straight to the Western Wall, namely Wailing Wall. 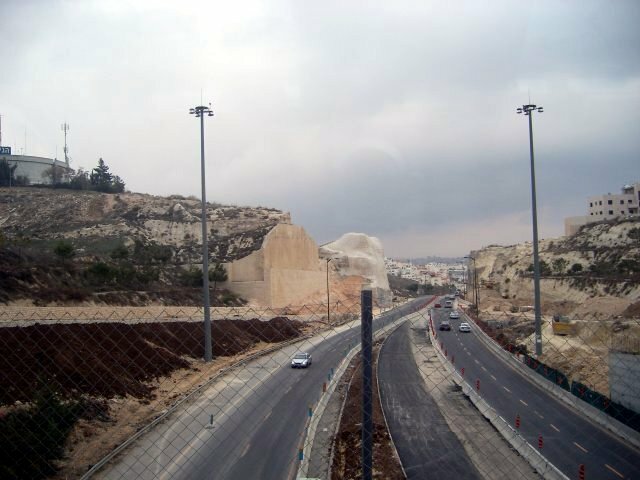 It shows a few different era’s construction with the Herodian wall at the bottom. 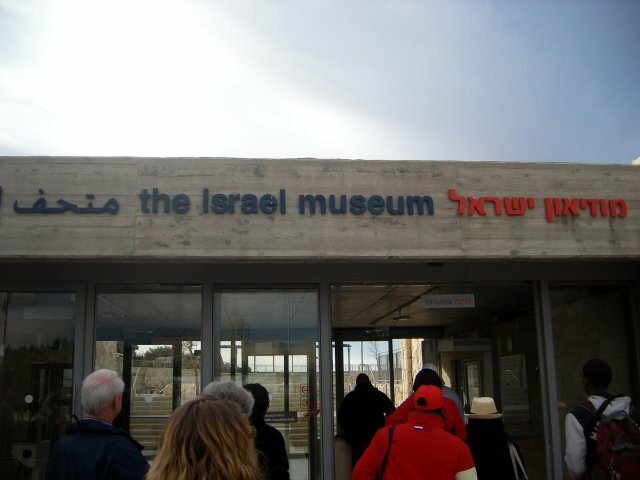 And we went to Western Wall Heritage Centre where we saw some of the historical and architectural information in visual way. 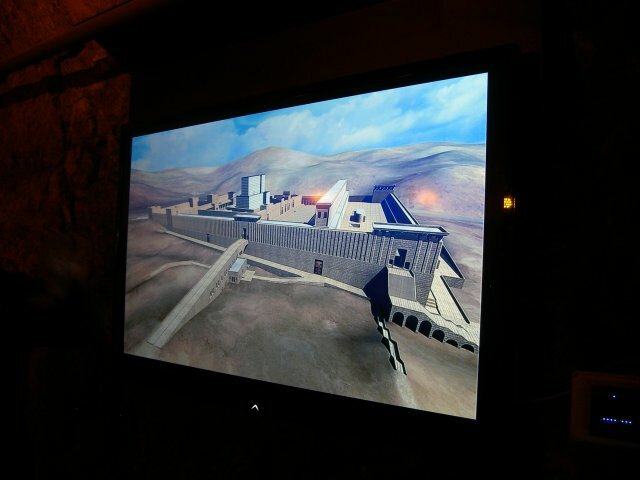 Herod’s temple is much more bigger than the previous ones even way bigger than that of Solomon. 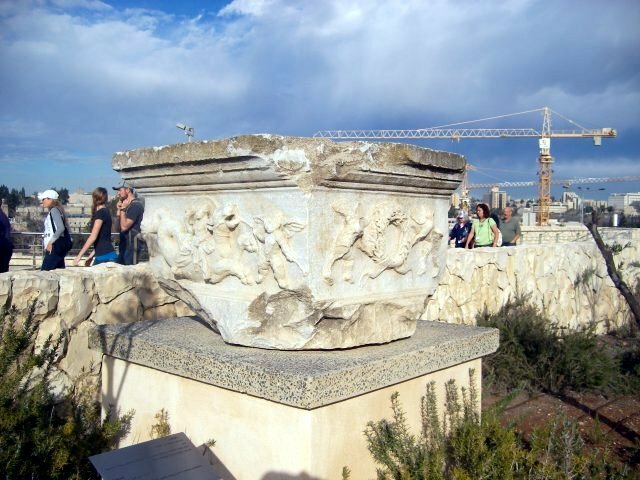 Because the land was not level, Herod made the south side much higher to make the temple mount level, and both corner on the south side is called Pinnacle and the horn was blown for many reasons. 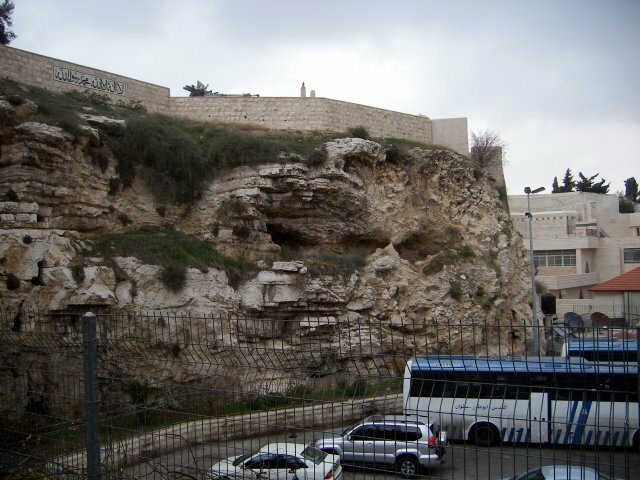 At the north end, Herod used the natural bed rock as part of the temple mount. 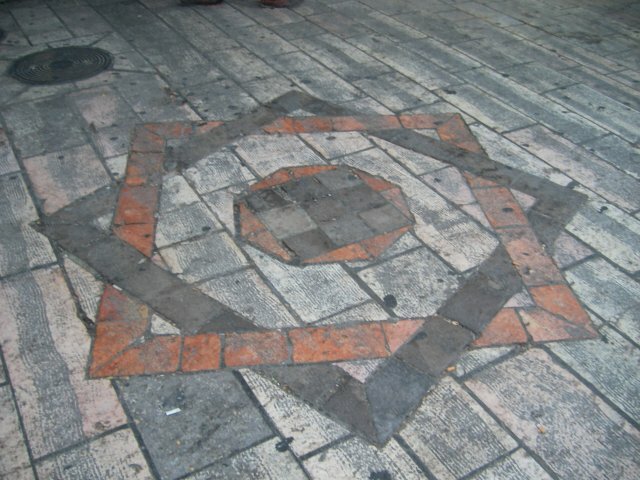 This pattern is Herod’s distinctive frame pattern. If you see the picture below, that is just little part of the one rock. They are all huge and giant. The average weight of those stones is 5 ton. 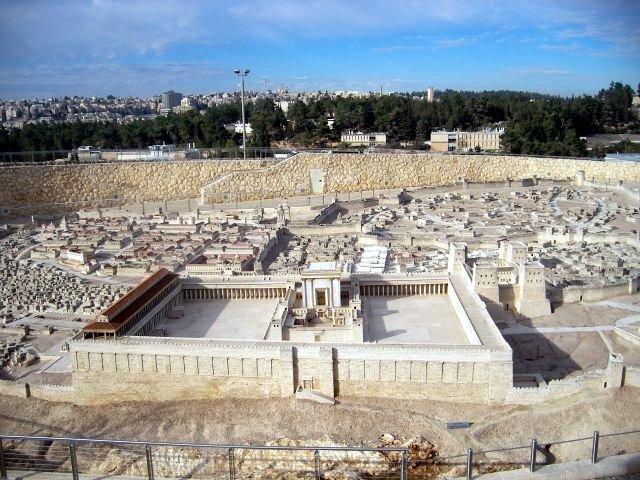 We were walking under the centre ramp (see the temple model above), and we came out to the open field at Herod’s time but it is still covered because the houses were built after that over those areas. And we met two pillars by Herod. 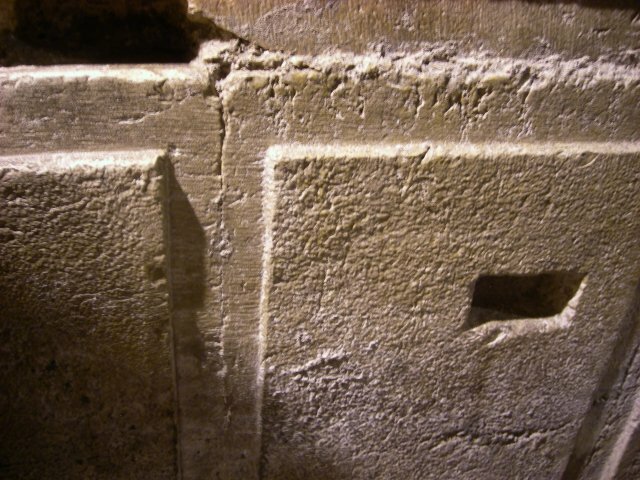 And on the floor of the same level with the pillar, there are stone-pavement from the same time. In other words, Jesus may walked on those stones. And then we kept walking through the water channel/tunnel and to a water basin. 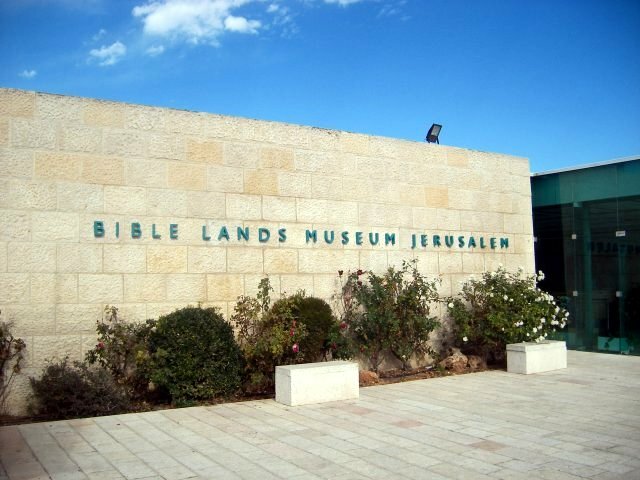 This was built at Hasmonian Dynasty which means it is even before Romans came to Israel. 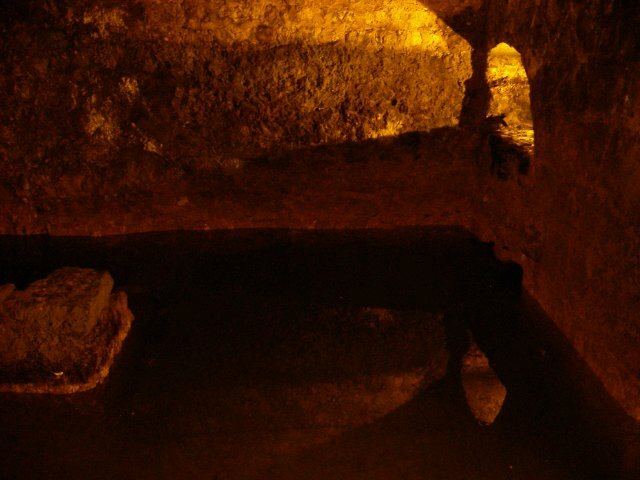 This water tank was used for more than thousands of years. One thing is that nobody knows where the water comes from and how it collects waters. We went to St. Anne’s Chapel by the White Fathers. 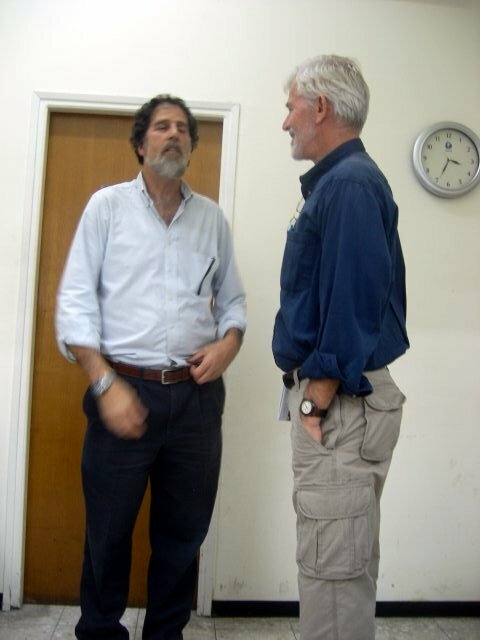 White fathers is the missionary group and the father in charge of this site is from Canada. 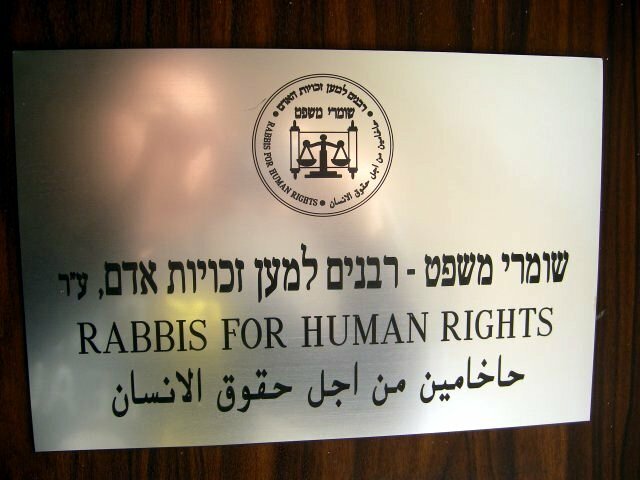 More than 80% of the members are from Africa, so the white is colour of the robe not the skin. Once they tried to rename, but almost all the black members voted against it. This chapel has amazing acoustic design. A few of the McCormick group sang ‘Amazing Grace,’ and it echoed like a band of angels was singing together. St. Anne’s Chapel is dedicated to St. Anne, the mother of Mary. So she is grandmother of Jesus. 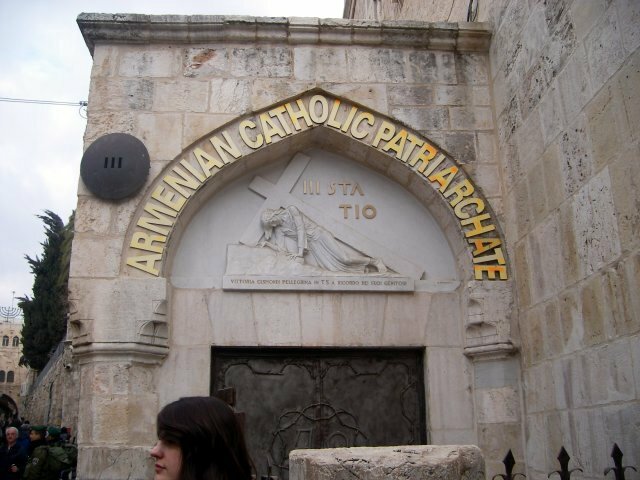 Catholics believe that mother Mary was born here while Anne was living. Next to the St. Anne’s chapel, there is huge ruin. It is the ruin of many different things – Hadrian’s pagan temple, Byzantine, Crusaders … You can see the crusader’s cross on the bottom of the pillar. 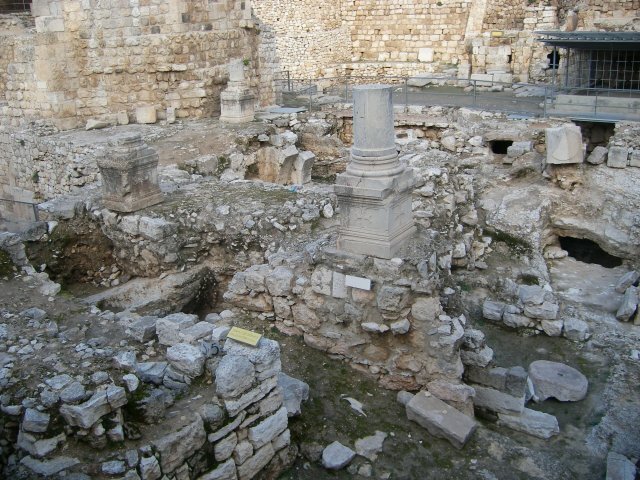 And the ruin also has a pool named Bethesda, where Jesus is believed that he healed the sick on Sabbath day. 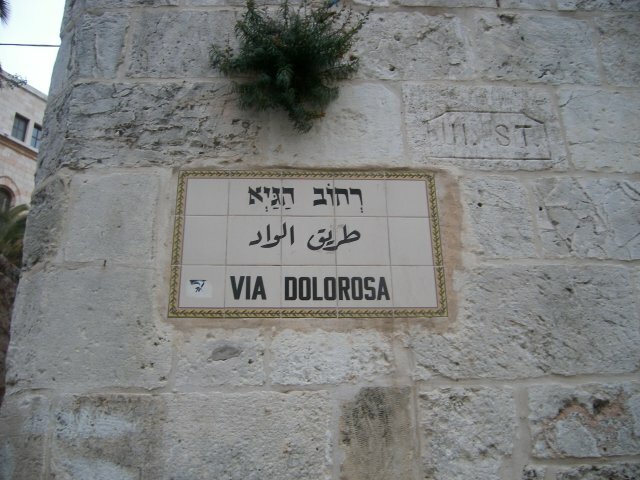 Now, it is time to talk about the Via Dolorosa, the most famous Christian pilgrimage. 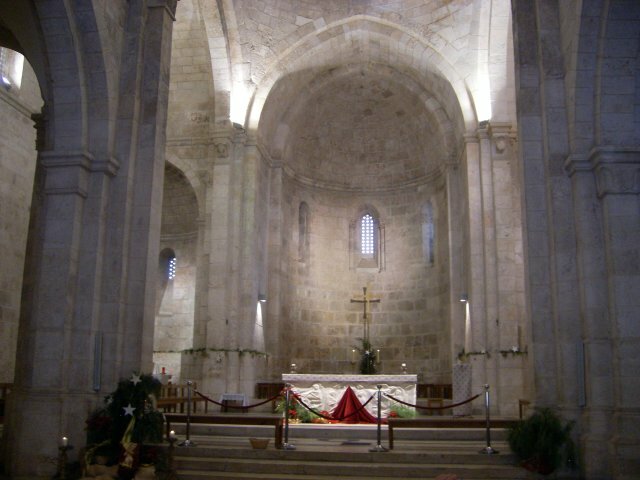 The Church of Condemnation is at the original place (as believed) where Pontius Pilate and his army stayed, namely Antonia Fortress. 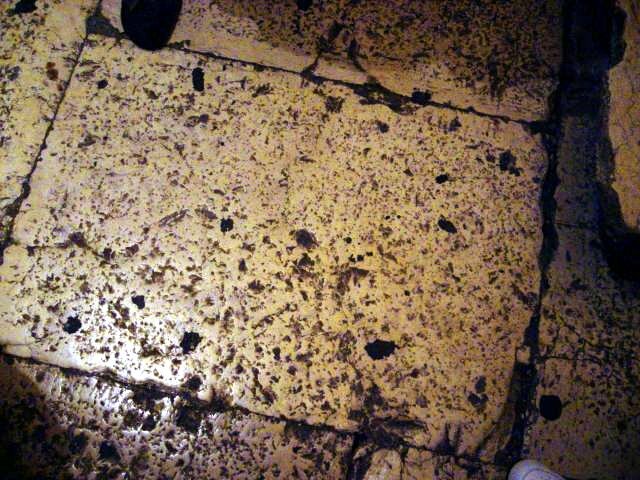 On the floor, there is a mark – the play of the soldiers. 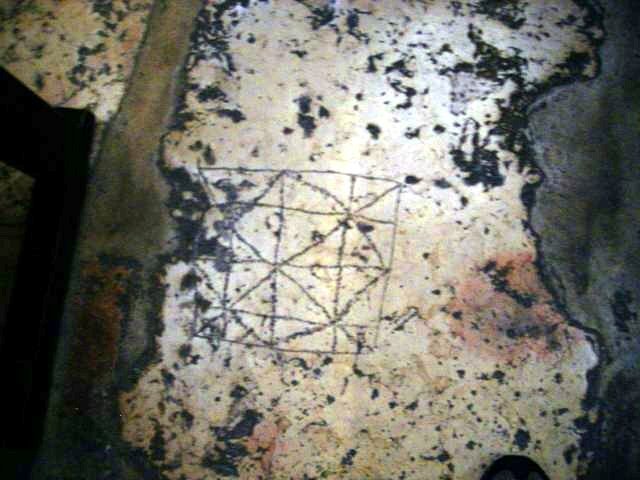 According to the guide, the mark was drawn around Jesus’ contemporary. 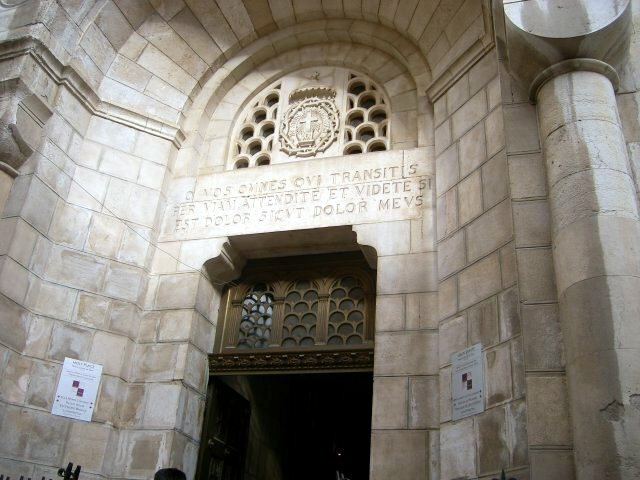 It is believed that Jesus was whipped at the Church of Flagellation. And you can see the patterns of nails, whips. Above the gate, you may identify the thorns. 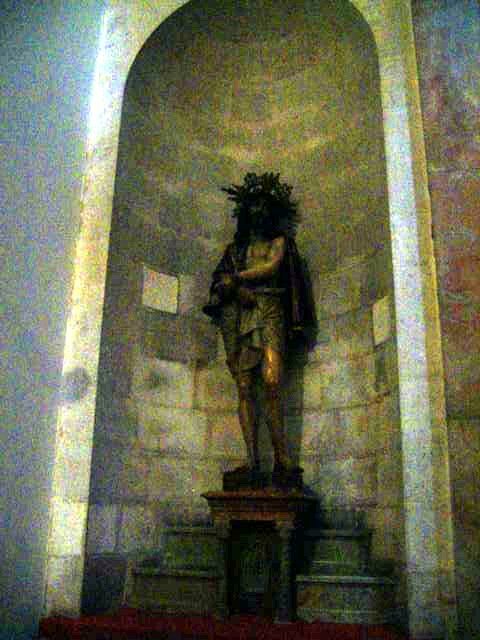 Ecce Homo means “Behold this man,” which Pontius Pilate said to the people. There is huge arch in and out side of the church. But the scholars believe now that the arch was built at Hadrian after Jesus. 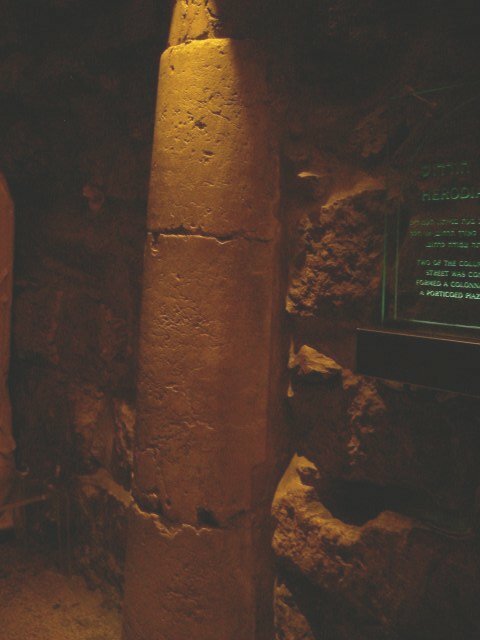 Via Dolorosa identifies three locations that Jesus fell, and this is the first one. 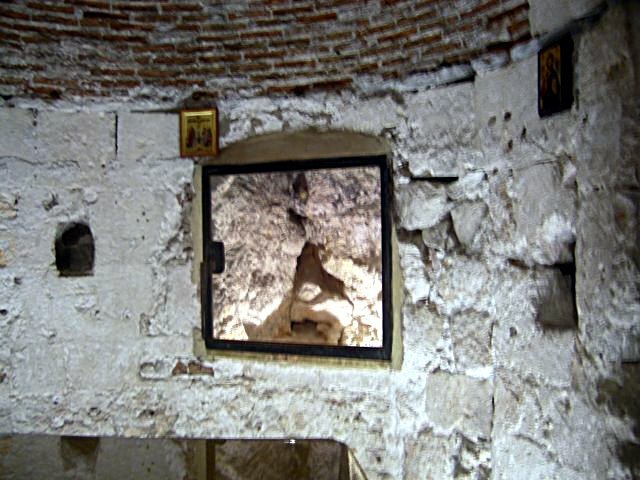 Right next to the first falling location, this point is believed that Jesus met His mother Mary. 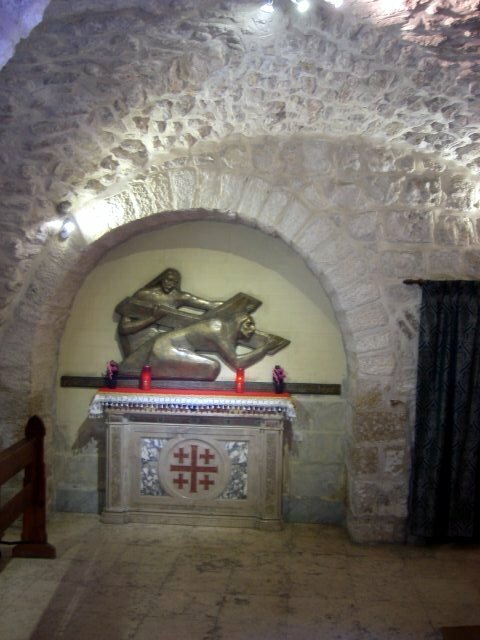 This place is believed that Simon of Cyrene was forced by the Roman soldiers to carry the cross of Jesus. 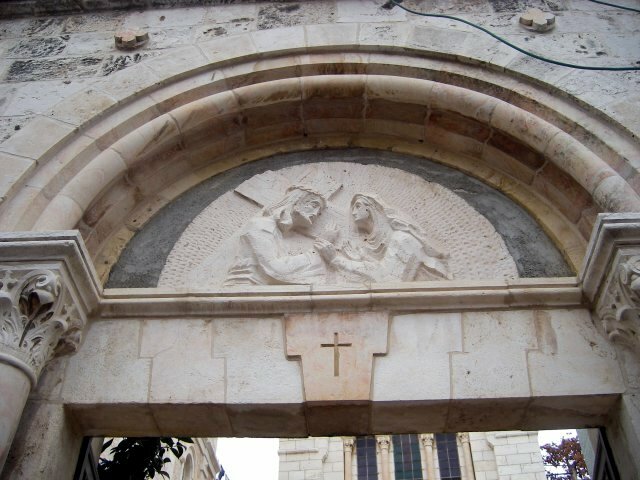 There are a few more scenes in the Via Dolorosa such as Jesus meeting pious women. Via Dolorosa may correct but may not correct since different churches claim different spots, and different scholars says different things. We do not know any thing for sure. But what is important is not to identify historical accurate locations but to feel it and add it to our faith. 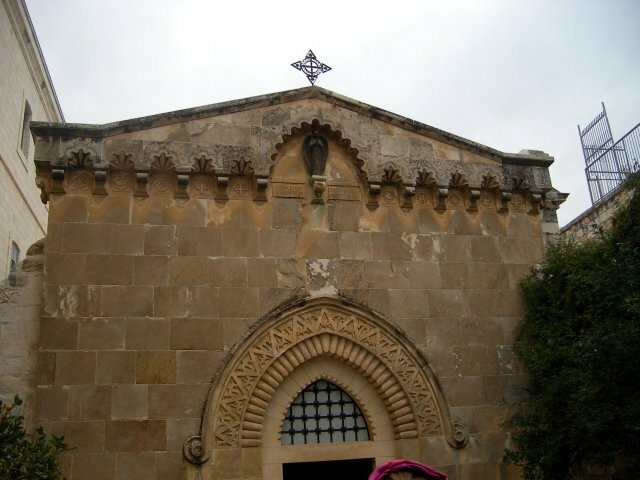 After that, we went to the Holy Sepulchre though the Coptic Church. 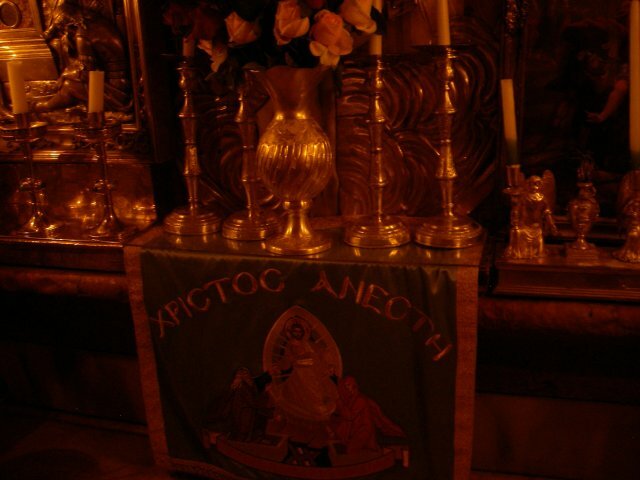 In the Holy Sepulchre, there was no line and our guide said it was miracle. Only two or three can fit in, and I went in with another lady, and she cried a lot over the casket. I just wonder if I had to tell her that the casket is empty and Jesus is alive. 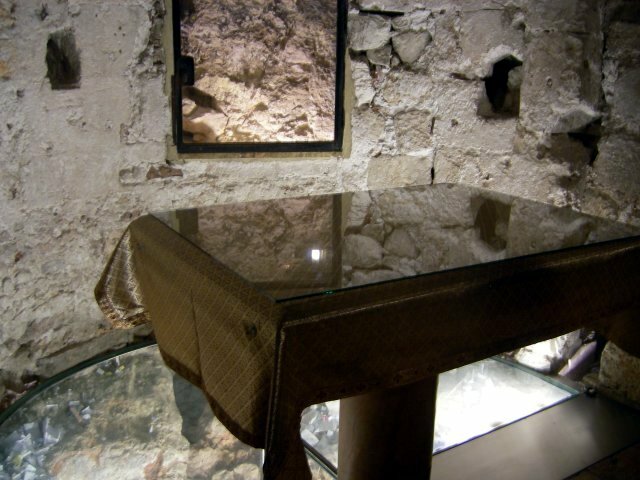 The Holy Sepulchre is so-called the holiest place for Christians. And several different churches owns different parts of it. There are serious dispute between them, so two Muslim families open it in the morning and close it in the evening. What a shame. 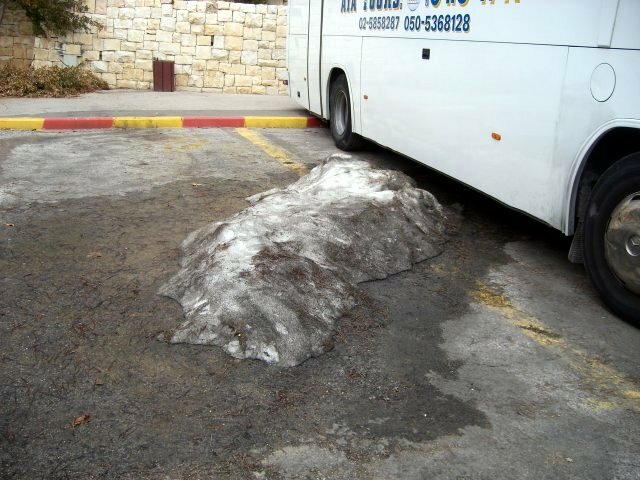 Some Church says that Adam is buried here. It is very important to their theology. The rock over the glasses is the rock of Calvary. 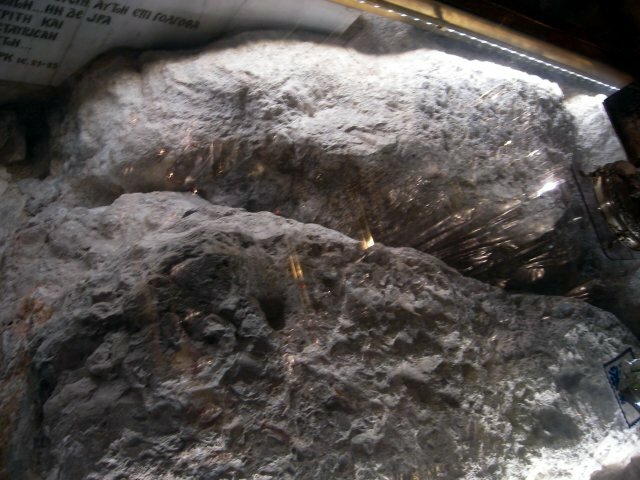 The rock seen over the window is Rock of Calvary. 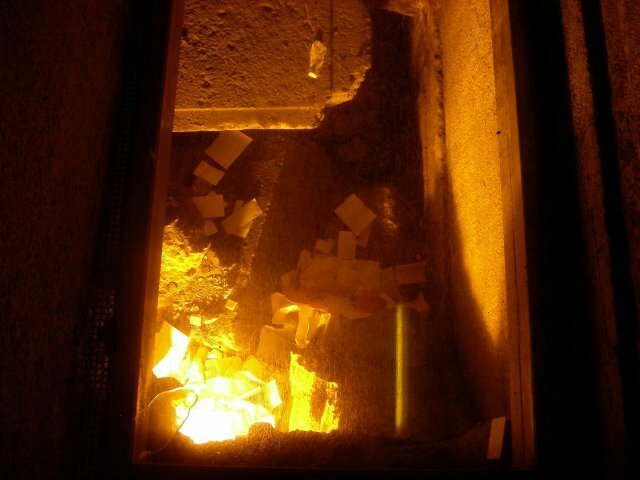 It is broken into two. 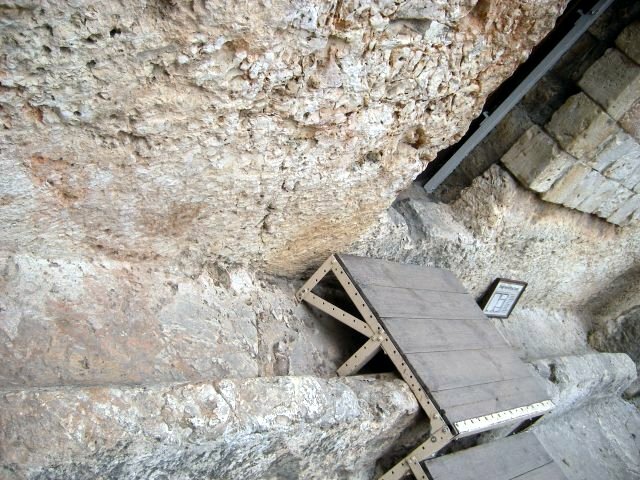 Because when Jesus died, there was earthquake, and the rock was broken into two. This is actually on the Calvary. Still you can see the huge crack. 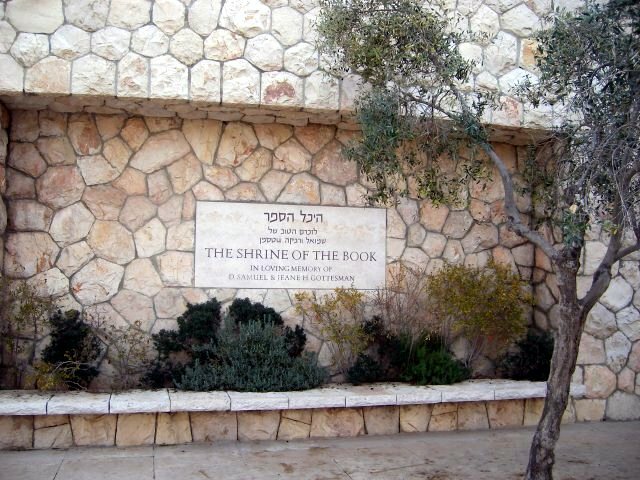 There are a few more things to see including Anointing Rock. We went out to the Jewish neighbourhood. 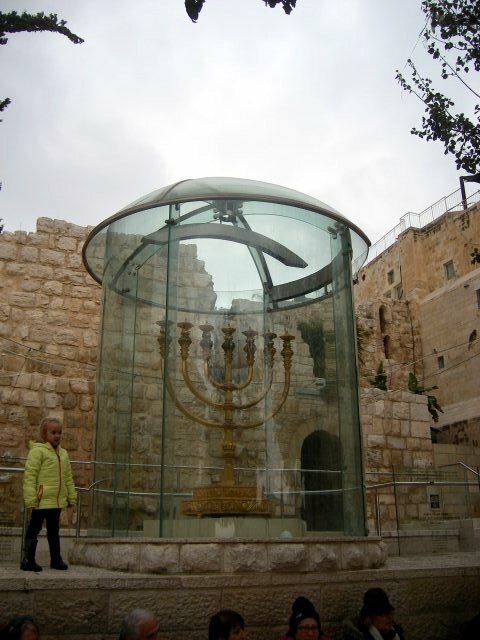 This giant manora is not the only one telling you that you are in Jewish quarter. So many males are wearing black hats and dressed like Jewish. 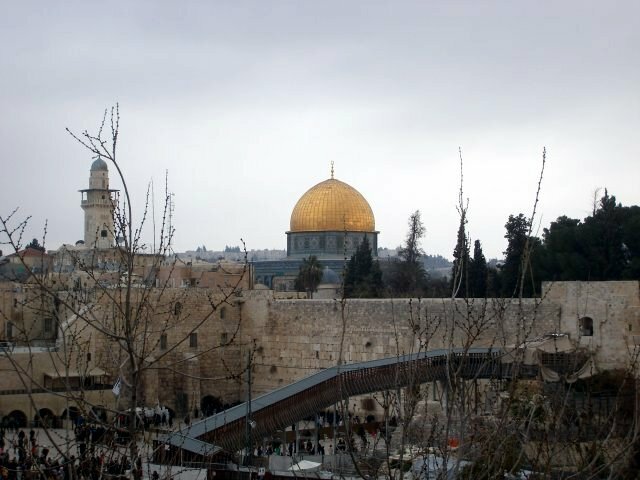 That golden dome, so called Dome of Rock, is the most famous thing in Jerusalem. 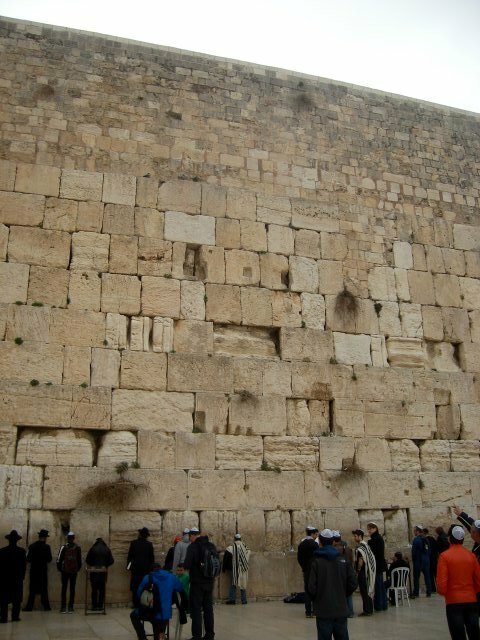 And you can see the western wall under it. 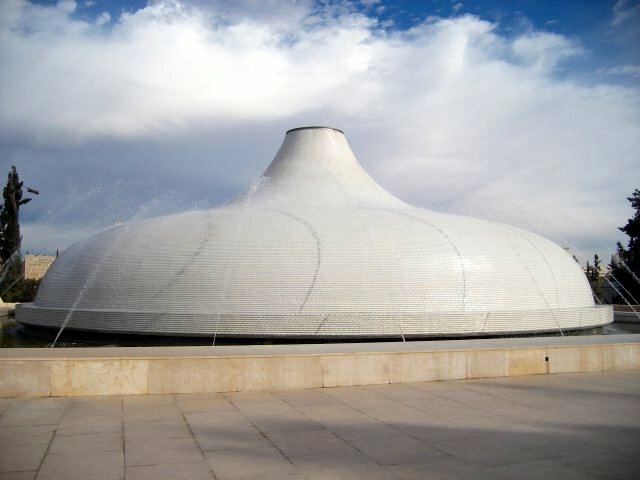 Tonight is the beginning of Sabbath, and many Jewish people came to pray here. 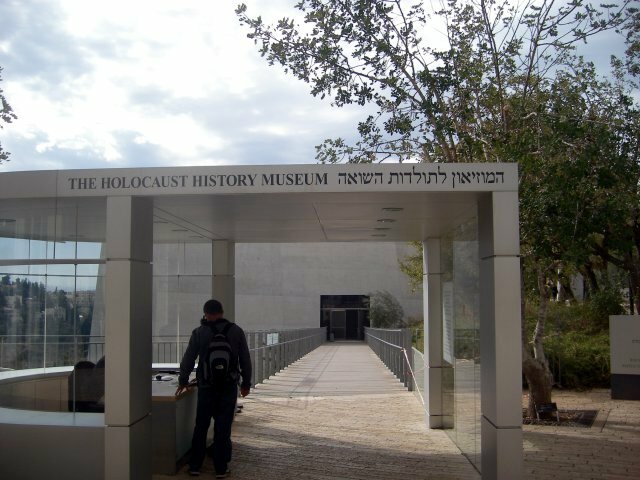 This is very sentimental place for all Jewish. The women are not allowed to pray with men. They have their own section. And all men must cover their head. 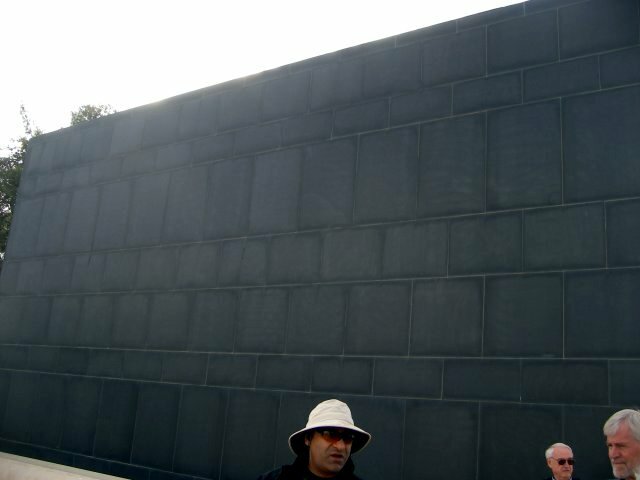 The wall is continued inside to the left side when you face it. And there is a library with all Hebrew pray books. Then we went to Garden Tomb. It is based on the bible (of course) with the name of Golgotha whose meaning is skull. And the rock is very similar to the skull shape (the mouth piece is hidden by the reconstruction). 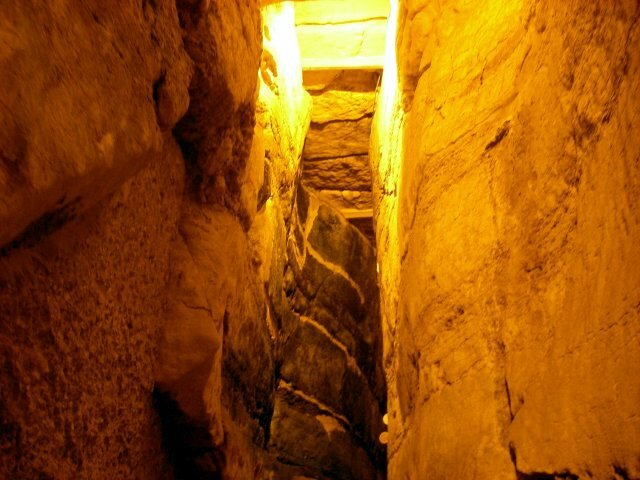 The first and third picture is the entrance of the tomb and the middle one is inside of it. 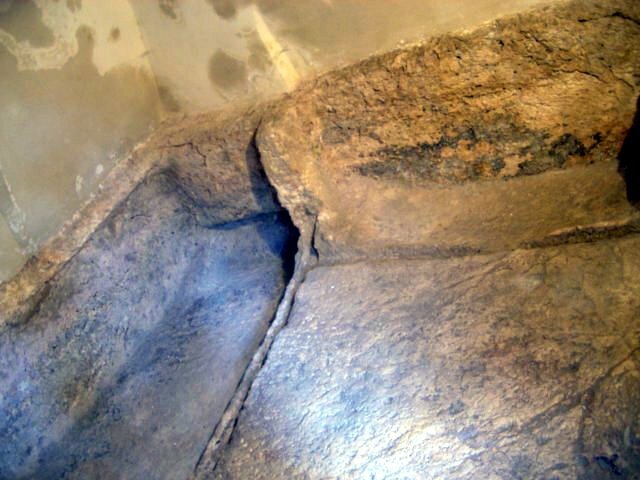 For the last picture, you can see the rail for the rock to roll which covers the tomb. 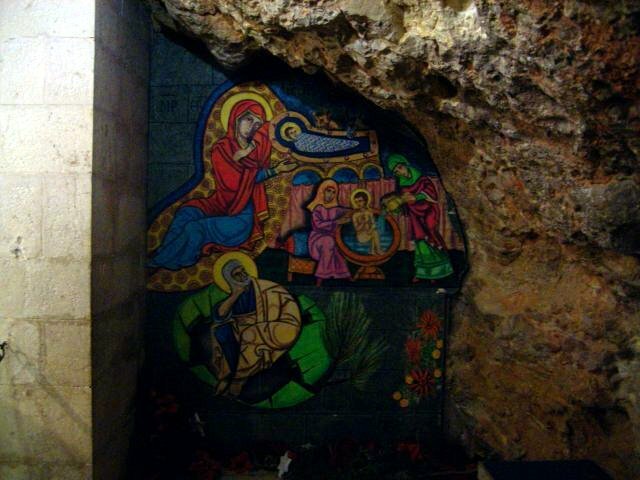 Some scholars think the Holy Sepulchre is where Jesus was crucified, others think Garden tomb is the place. Again, we do not know for sure. 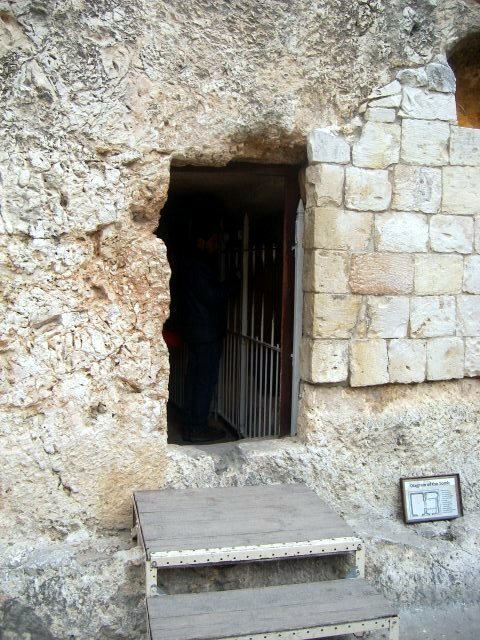 But I do know that the tomb is empty and Jesus is alive. This is the separation of Jerusalem. One city, one Jerusalem but one side is Jewish part, the other is West Bank, the occupied land. Jerusalem means peace. When can we really have true peace in Jerusalem? We went to Sabeel, and listened to Cedar, one of the founding member of Sabeel. It was eye opening. I want to write about it later in more detail. If I do not go to bed right now, I may die.